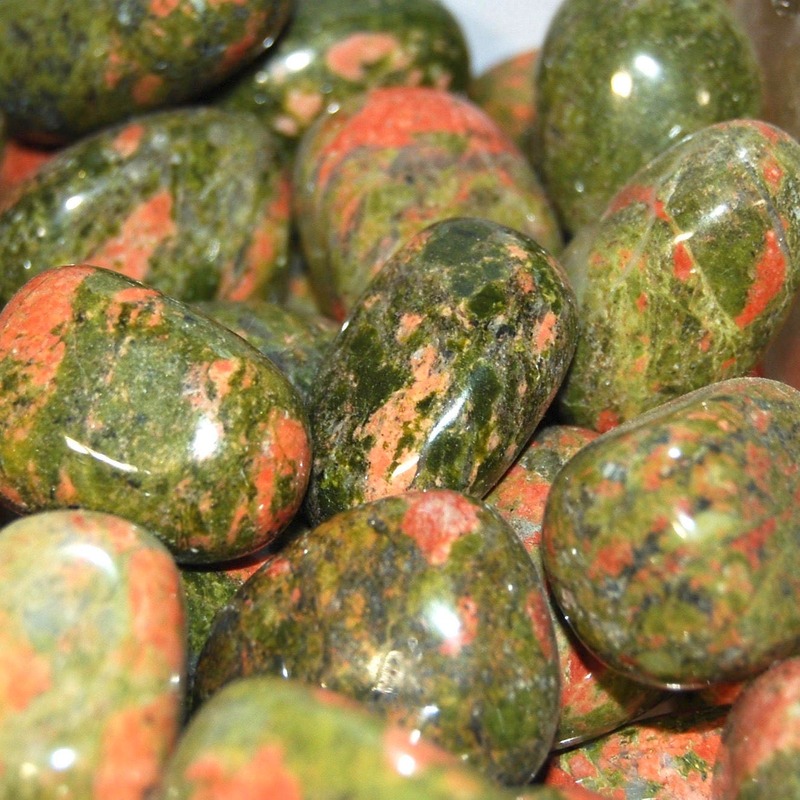 Natural medium Epidote included Unakite tumbled stones from Africa. These pieces measure .75 to 1.25 inches. Helps one to deal with past events which have blocked ones growth. Allows for rebirth. Balances the emotional body. Brings ones consciousness to the present allowing one to combine thought and action.